What could be better for free summer fun than free concerts in Virginia Beach and beyond? Check out a huge list of free concerts near Virginia Beach, Hampton, Norfolk, Newport News, Smithfield, Richmond, and Williamsburg...plus summer concerts at Busch Gardens. For three days of free concerts in Virginia Beach, don't miss "Sandstock" which planners call "a Beach-inspired variation on 'Woodstock'. At the 31st Street sound stage, this 60's, 70's, and 80's music extravaganza will feature original and local tribute artists playing songs you love by groups like Queen, Journey, Elvis, and Led Zeppelin. For details, go to http://www.beachstreetusa.com/festivals/sandstock-tribute-rock-roll. The Virginia Beach oceanfront is hosting a Stars & Stripes Explosion, featuring fireworks, free concerts in Virginia Beach, rock performances, and tribute bands at stages on the beach between 16th and 18th streets and at 20th Street, as well as at the 24th and 31st Street parks. Music will take place from 8-9:30 pm at a stage on the beach at 20th Street and will include performances by Symphonicity (the symphony orchestra of Virginia Beach) and the Virginia Beach Chorale. 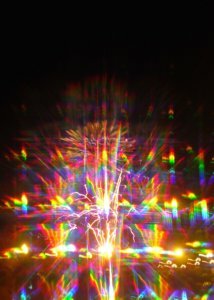 For details, go to http://www.beachstreetusa.com/festivals/stars-stripes-explosion. Fireworks will take place at 9:30 pm and can be viewed anywhere along the Virginia Beach boardwalk. Call (800) 822-3224 for details. You don't just find free concerts in Virginia Beach - they can be find all over southeast Virginia! These free concerts are held from 5:30 to 8:30 pm Fridays in June through the first week in September. Concerts are held at Towne Place at Greenbrier, located on Eden Way North, just off Chesapeake's Greenbrier Parkway. For the schedule, go to www.facebook.com/towneplaceatgreenbrier or call (757) 373-3293. Newport News' City Center at Oyster Point hosts free concerts at its Fountain Plaza. Concerts and parking are free (two caveats: no pets or outside drinks!). The gates open at 5:30 pm and concerts run from 6-9 pm, June through the end of July. 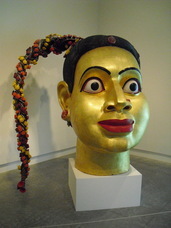 For details, go to www.citycenteratoysterpoint.com. These free concerts are held at Stony Point Fashion Park in Richmond on Fridays and Saturdays from 4 pm - 8 pm and Sundays from 1 pm - 5pm, running from 5:30 to 8:30 pm Fridays in June through the first week in September. Concerts are located at 9200 Stony Point Parkway, Richmond, VA 23235. For the schedule, go to http://www.shopstonypoint.com/summer or call (804) 560-7467. Lewis Ginter Botanical Gardens "Flowers After Five"
The second Thursdays of the month at 5 pm, enjoy free live music at the spectacular Lewis Ginter Botanical Gardens in Richmond, June through August. 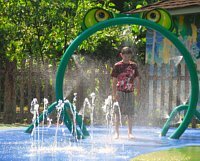 They'll also offer Water Play and family activities. It's free with admission to the Gardens (which runs $11 for adults and $7 for kids). 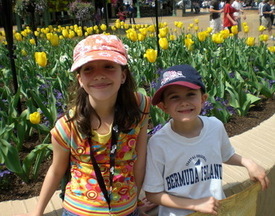 For details, go to www.lewisginter.org. Every Thursday from 6 - 9 pm at the museum's Best Cafe, enjoy free live jazz. Food and drinks are available for purchase. 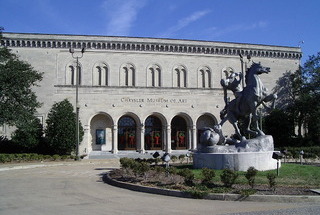 On the second Fridays of the month, they offer Wine Tasting at the Virginia Museum of Fine Arts, free from 6 pm to 8 pm. On First Fridays from 5 pm to 8 pm, they offer free entertainment and Happy Hour specials on beverages all evening and free half-hour gallery tours at 7 and 7:30 pm. On the third Thursday evenings of the month at 7 pm, the Chrysler Museum offers free concerts, a cash bar, and glass performance art. It's just $5 per person. And don't miss their free Glass Demonstrations Tuesdays through Sundays at noon. The historic town of Smithfield (a 15-minute jaunt across the James River Bridge from Newport News) offers free summer concerts Friday nights June through August. Concerts are held on at the Smithfield Times Gazebo on Main Street in Smithfield. Go to http://smithfieldarts.org/music_scs.html for a full schedule. Plus, don't miss the Smithfield Olden Days festival, the last weekend in June, complete with music, refreshments for sale, a parade, and unique events. Click here for my review of the lovely and romantic Smithfield Inn. Colonial Williamsburg offers an annual Summer Breeze free Concert series in Merchant Square (on Duke of Gloucester Street) every Wednesday during mid-June and August from 7-9 pm. Admission is free. 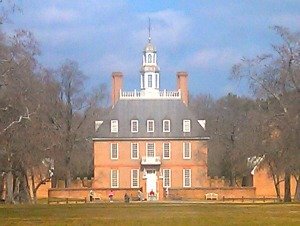 For details, go to my "Secrets of a Cheap Colonial Williamsburg Vacation" page. Busch Gardens Williamsburg offers a series of wonderful summer concerts which-- though not free-- are no extra charge with admission. Why pay full price for Busch Gardens Williamsburg when you don't have to? Here's how to save $20 or more per ticket!